KIM LAWTON, guest host: The House Committee on Homeland Security this week held the first in a series of controversial hearings examining what it called “radicalization in the American Muslim community,” and there was widespread religious reaction. The hearing was called by chair of the committee, New York Republican Peter King, who invoked the memory of the 9/11 attacks. REP. PETER KING (R-NY): Today, we must be fully aware that homegrown radicalization is part of Al Qaeda’s strategy to continue attacking the United States. Al Qaeda is actively targeting the American Muslim community for recruitment. Today’s hearings will address this dangerous trend. LAWTON: First up on the witness list was Congressman Keith Ellison, a Democrat from Minnesota, and the first Muslim elected to the House of Representatives. 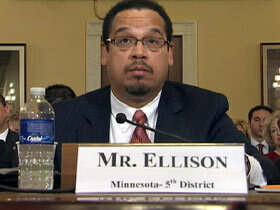 REP. KEITH ELLISON (D-MN): It’s true that specific individuals, including some who are Muslims, are violent extremists. However, these are individuals, not entire communities. When you assign their violent actions to the entire community, you assign collective blame to a whole group. This is the very heart of stereotyping and scapegoating. LAWTON: Ellison became emotional as he described a young Muslim paramedic who was killed on 9/11. ELLISON: Mohammed Salman Hamdani was a fellow American who gave his life for other Americans. His life should not be identified as just a member of an ethnic group or just a member of a religion, but as an American who gave everything for his fellow Americans. LAWTON: But several witnesses testified that the US Muslim community is not doing enough to counter radicalism in its midst. Family members described how two young American Muslims were recruited by extremists and persuaded to commit terrorist acts. The president of the American Islamic Forum for Democracy, Zuhdi Jasser, said his faith is being hijacked by what he called a “theopolitical” movement that is promoting radicalization. 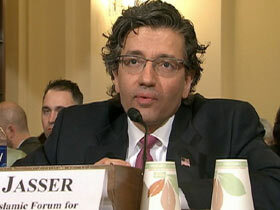 ZUHDI JASSER, M.D. (President, American Islamic Forum for Democracy): We have a problem internally. Where is that? It’s a minority, but there’s an ideology that exists in some mosques. Not all. Not a majority. But in some mosques. And it’s a significant number. LAWTON: Throughout the week, religious groups mobilized around the hearing. In New York, interfaith supporters joined thousands of Muslims who rallied to show their support for America and their opposition to violence in the name of religion. A smaller counter-rally alleged that Muslims are linked to terrorism, and some in the faith community said Congress should be looking into this. JORDAN SEKULOW (Director of International Operations, American Center for Law and Justice): Name another religion where there is an international coordinated effort today, where there can be an imam in Yemen talking to a member of our military in Texas to carry out an attack on troops, or young people recruited. It’s not happening. You can’t name another religion other than Islam. LAWTON: US Islamic advocacy groups repeatedly accused Congress of unfairly singling out their community. 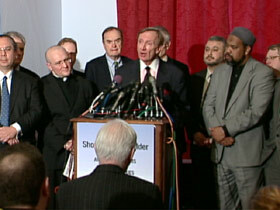 On Capitol Hill, a coalition of prominent leaders from several faith traditions gathered to show their solidarity with American Muslims. RABBI MARC SCHNEIER (President, Foundation for Ethnic Understanding): I feel Congressman Ellison’s pain. I share the pain. I share his concern that these hearings will only exacerbate anti-Muslim bigotry and Islamophobia in our country. LAWTON: The group acknowledged that Congress has a responsibility to examine violent extremism, but objected to how this hearing was framed. REV. MICHAEL KINNAMON (General Secretary, National Council of Churches): I can imagine hearings that would come under the heading of the role of religion in promoting violent extremism that would be able to address the real problem, not a group of people the vast, vast majority of whom have nothing to do with the problem, but rather are part of the solution. LAWTON: Muslims in the group were grateful for the support. IMAM MOHAMED HAGMAGID ALI (President, Islamic Society of North America): I do believe that by isolating and singling out a community we’re really feeding into the stereotyping and discrimination against the community. But this is the America that I know that is standing with me here—the America that I love. LAWTON: The leaders announced a new interfaith initiative called “Shoulder to Shoulder,” which they said would promote tolerance and fight anti-Muslim bigotry. 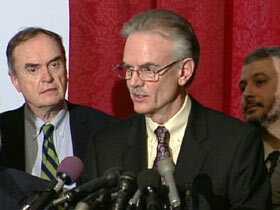 Congressman King said he thought the hearing generated a productive and worthwhile conversation. He plans to move ahead with other hearings on the topic in the future. 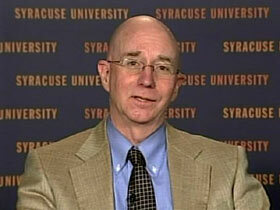 Joining me now is Gustav Niebuhr, associate professor in religion and the media at Syracuse University and author of the book “Beyond Tolerance: Searching for Interfaith Understanding in America.” Gustav, welcome. There certainly was an extraordinary conversation around religion this week. What do you think it says about this particular moment in the American religious landscape? GUSTAV NIEBUHR (Syracuse University): Well, it’s really an extraordinary moment and somewhat ironic, too, given that the dominant images of Muslims are people fighting for freedom and human rights in North Africa at this point. But in terms of the United States, it says that there’s a lingering suspicion of Muslims as a community. It also says, given the push-back against the hearings, that there are a great many people who are invested in supporting American Muslims as part of the American community and interfaith dialogue. LAWTON: We did see a big mobilization in the religious community, prominent leaders standing behind Muslims. But at the congregation level, at the pew level there are these questions lingering about links between violence and Islam. 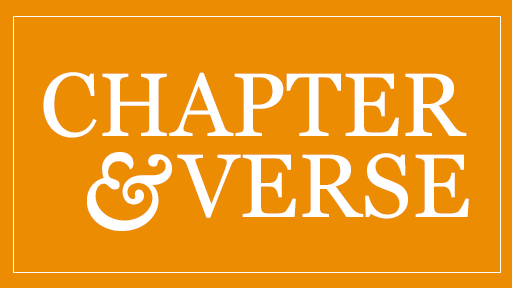 How big of a challenge is that for interfaith relations? NIEBUHR: Well, it’s a big challenge. For one thing, the dominant media image of Muslims, say between 9/11 and up to 2009, was one of people who were associated with terrorist groups abroad. It was of fighting in—between U.S. troops and terrorists in Iraq. But I think things have begun to change over the last two years. For one thing, you had a tremendous and ultimately unsuccessful uprising in Iran against the disputed elections there, and then, as I say, very recently you’ve had a popular revolution sweeping across North Africa giving us a completely different image of Muslims, and I hope that does filter down to the pew level—that people do see that there are Muslims abroad and certainly Muslims in the United States with whom they can agree with. LAWTON: And we did see diversity within the American Muslim community this week. A lot of people think of it as a monolithic body, but it’s really not. NIEBUHR: It’s anything but. It’s anything but. There are, what—50, 60 different ethnic groups. There are people who are wealthy. There are people who are white-collar. There are all sorts of professionals. There are blue-collar people. There are people who have been here since the 1960s, people who’ve recently arrived, and geographically the community is very widespread. LAWTON: How do you think the hearings, the images of this hearing is playing overseas among some of those people you were talking about? NIEBUHR: In some ways I am concerned about that, because at the very time that you’ve got people fighting for freedom and human rights in North Africa you have internationally televised hearings questioning the patriotism of at least some American Muslims. On the other hand, what’s hopeful is that people from the administration, the national administration all the way down to the pew level, have stood with Muslims and stood with Muslims as Americans in this country, and I hope that the latter is received more strongly than the former, at least for American interests abroad. LAWTON: All right. Gustav Niebuhr, associate professor of religion and the media at Syracuse University, thanks a lot for being with us today.